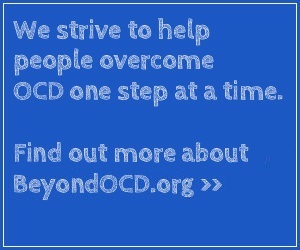 Individuals with OCD frequently have fears that they or someone they care about will be harmed. These fears often lead to checking behavior – checking that doors are locked, for example, to prevent intruders from getting into the house. Or making sure that all electrical items are turned off so a fire doesn’t start. Unfortunately, many people who experience morbid obsessions engage in magical thinking – they believe that a thought can cause an event to happen or not happen. This belief can, of course, lead to overwhelming fear and anxiety for these individuals.